Do you wish to turn your snapshot into a canvas art masterpiece? Then why not consider Superchrome? Superchrome, as a premier digital printing company, offers specialist canvas printing service to the clients within and outside the nation. We will help you in preserving your treasured photos and artwork in a more permanent way, protected from all adverse conditions. To achieve a very striking result, Superchrome uses the latest in digital print technology and profiling technology. 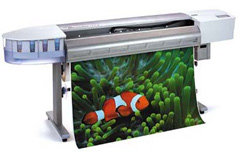 Any picture, digital image, or film negative can be transformed into a fantastic print to canvas. We can print to a variety of canvas materials including water resistant canvas, fast dry matte canvas, fast dry glossy canvas, and coated cotton canvas. You can make a choice from the canvas materials according to your taste and preference. At Superchrome, we have the right people and technical know-how to print your pictures onto canvas in almost any dimension you need. If your need is to obtain your artwork printed in large size, we will make it happen, that too at prices that fit your budget. If you wish to have your print framed, we are ready to help. To add a more personal touch to your print to canvas, we can offer customized solutions according to your specifications. Over the years, we have served self-publishing artists, photographers, interior designers, architects and other creative people. We are preferred among our clients because of our diverse experience in this highly specialized field. Outstanding quality, high resolution, sharpest color reproductions, affordable pricing, and capacity in meeting deadlines are our added strengths in the field. E-mail your favorite pictures and digital images or just upload it to our website and leave the rest to us. We will take care of all the details involved in printing to canvas. Navigate through our website for information on our print to canvas process. If you are unsure of any area of this service, give us a call or send an e-mail. Need live support? Then you can use our live chat facility.